In 2018 the theme is ‘Because of her, we can’ which celebrates the essential role that women have played – and continue to play – as active and significant role models at a community, local, state and national level. The annual NAIDOC Celebration Day at the Lismore Showground is a chance for people from all cultures to enjoy learning about the world’s oldest living culture through sharing, fun and friendship. The day features a formal Welcome to Country and information stalls from more than 30 local service providers as well as family activities including sports games, children’s activities, face painting, food stalls and a sausage sizzle. There will also be Aboriginal business displays, a talent showcase by local schools and an Elders Tent with morning tea and lunch provided for local Bundjalung Elders. “NAIDOC Celebration Day is about providing a space where the whole community can proudly celebrate the richness of our Aboriginal and Torres Strait Islander culture,” Council’s Event Officer Leanne Clark said. 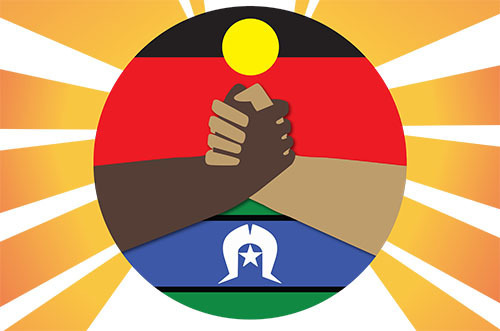 NAIDOC Celebration Day runs from 10am to 2pm at the Lismore Showground on Thursday, 5 July. Entry is free and the whole community is welcome.